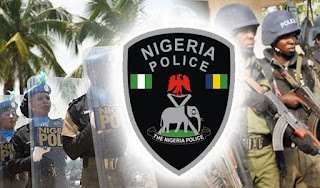 Home Nigerian Police Official Updates Police Recruitment: 4 Stage Next After Obtaining Nigerian Police Force (NPF) Form. Police Recruitment: 4 Stage Next After Obtaining Nigerian Police Force (NPF) Form. I was quick to post that Nigerian Police Force (NPF) has started recruiting this year. Some of my readers were grateful for that. I’m sure if you’re my subscriber, you’d got that update earlier than your friends. Since the registration opened, the Police Service Commission has received hundreds of applications. Hence, I’ve got some applicants asking what next after the online registration is completed. This post is meant to answer that question. I will take you by hands and show you what you should expect in a few weeks after registration ends by January 11. I cover 4 next stages after submitting your online application. Completed form print-out: This will show all the details you filled online. You may need it to prove anything in the future, in case some discrepancies occur. If you didn’t print this earlier, check your email – it should be there too. Confirmation Message with Unique ID: After printing your completed form, on the next page, you should be presented with a congratulatory message. This message acknowledged that your registration was successful and received at the other end. It displays a UNIQUE ID number. The number may be important for any help or processing assistance. Guarantor Form: Right at the home page of the NFP recruitment portal, you will see the link to print the Guarantor form. It’s advisable you print this out in colour – not only to make it original but it’s better presentable in colour for your guarantors. Even though the instructions on how the Guarantor form should be signed had been put on the said paper, some applicants will be blind to this and just handle things carelessly. Here is the category of people who can sign this form for you. Pay attention to this, please. NOTE: You need two different guarantors. You can use two traditional rulers if you like. Nothing is wrong with using two different civil servants too. Hope you get? Also, you need the photocopies of their ID cards of any type and a passport for each. If you’d wrongly signed the form, no need to worry. Just return to the website and reprint another copy. After the closing date, you should be on the lookout for NPF SMS or email message inviting you to participate in the state physical screening. This screening of documents and individual candidates will take place at physical grounds to be announced later. You can subscribe to this blog to receive my email message immediately they announce the screening date. If you’re successful at the screening level, congratulations! Now, you can proceed to the computer-based test to be conducted at different centres across the nation. This test will be conducted by Joint Admission and Matriculation Board (JAMB). Areas of the test were usually Mathematics, English and general papers. After the result of your exams is announced, it’s obvious - boys have been separated from men. The commission will then post the final list of the successful applicants that will proceed to the Nigerian Police Force Training School. Candidates will be asked to report the state headquarters of theirs for a medical test. From there, they will be moved to the police training schools across the nation. These are the usual stages that will follow your application for the force. Things may change a bit this year because it’s a system. However, this was what we were used to and there won’t be many departures if there will be any difference at all this year. Still haven't applied? Visit the page to read details of the application and procedures to fill the form. Only the commission can officially answer this. But with my experience, people cleared of medical fitness are on their way to the training schools.